Empowering students with a voice in class means, among other things, providing them with an outlet where they can document, create, and share their learning experiences. There are several ways to do this in class (check out this post for more ideas on how to use technology to empower students voice) and one important way is through creating short compact books or booklets. Stapleless Book is a wonderful tool to use for this purpose (check out this post for more options). The Stapleless Book is a web tool provided by ReadWriteThink and enables students to create short printed books of approximately 6 to 8 pages. The process is dead simple. 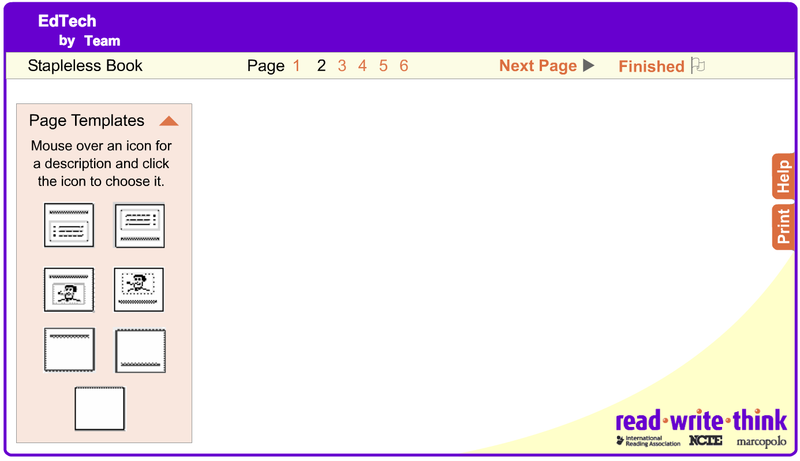 Students open up Staples Book tool, type in a title for their book and proceed to constructing their pages. For each page they have the option to choose from different layouts. Once they are done writing up their book they can print out the pages and easily fold them into a neat book. This video shows you how to do the folding part.